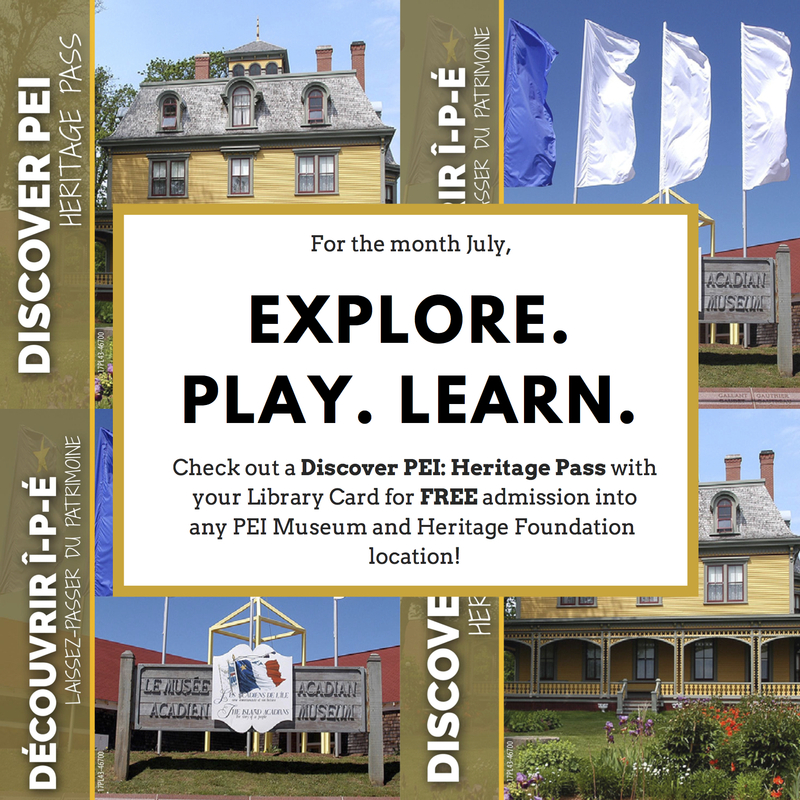 This month you can explore PEI’s provincial museum sites for free with a Discover PEI: Heritage Pass that can be borrowed from selected branches of the Public Library Service! With your PEI library card, borrow a Heritage Pass for one week. The Heritage Pass provides free family admission to any of the seven provincial museum sites. Tour Beaconsfield History House – an elegant 1877 Victorian mansion. Learn about PEI’s fisheries history at breathtaking Basin Head. Immerse yourself in the activities of 1890s rural life at Orwell Corner Historic Village. Dive into shipbuilding history and explore Yeo House a charming country mansion at Green Park. Discover the journey of the Acadians of PEI at le Musée acadien. Travel back in time at Elmira Railway Museum. Visit Eptek Art & Culture Centre in Summerside to be inspired through local arts and crafts. You can view the PEI Museums photo gallery on Facebook, click here.